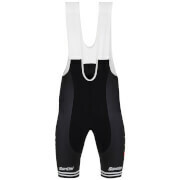 Bestselling bib-shorts for long-lasting comfort. 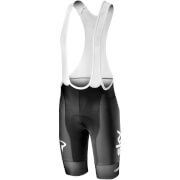 The Ace bib-shorts are made of Lycra Thunderbike that provides a light graduated compression and excellent abrasion resistance. Anatomical cut to always give you maximum comfort and elastic shaped grippers with non-slip grip on the legs. Breathable mesh braces and new Anti-shock GITevo chamois with Twist gel core for incredible performance, even over long distances. 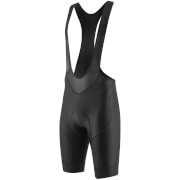 Body Fitting Support Anatomical Cut And Thunderbike Power Lycra Provides Light Compression. All-Day Comfort New Gitevo Chamois With Anti-Shock Twist Gel Core. Non-Constricting Grip Soft Elastic Leg Strap With Non-Slip Grip Lightly Keeps Shorts In Place.